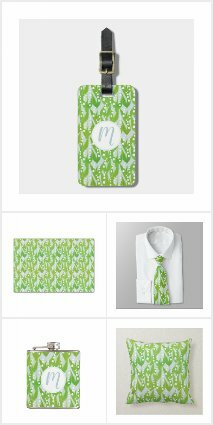 So yesterday I did a mass upload on my zazzle shop of a new design for St. Patricks Day! The collection is filled with shamrocks, luck and Irish goodness. While I don't partake in the St. Patricks Day drinking festivities, I do enjoy the colour green, luck & all things Ireland, and I love the shamrock plant. The collection reminds me of when I was younger and I used to go through the clover fields trying to find a four leaf clover. If I found a four leaf clover I believed I was lucky. Not lucky in the sense that I would have good luck, but lucky in the sense that I found a four leaf clover! Little did I know that I was making my own "luck", by literally scouring the fields for a four leaf clover. While this design stands for St. Patricks Day & Irish symbolism, the underlying reason for me making this piece is about making your own luck. Enough talk about the collection, here it is! 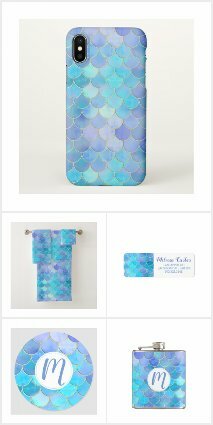 It is available in both my Nuvango and Zazzle shops. 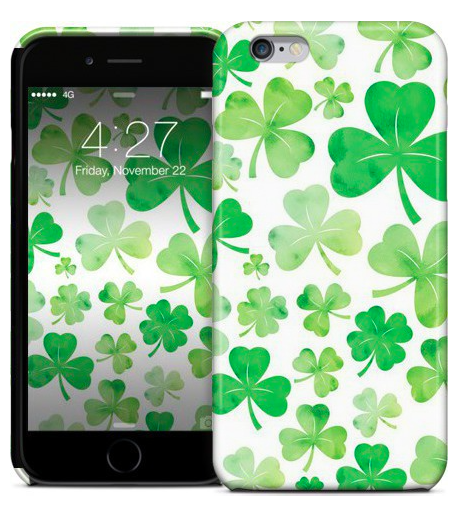 My shamrock pattern on an iPhone case from my Nuvango shop! I love how nuvango makes the previews look extra fancy. 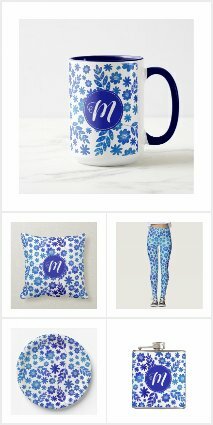 Check out the whole collection! There is no better way to check your St. Patricks day makeup than with this "Irish" compact mirror! It certainly wouldn't be a St. Patricks day celebration without a drinking accessory. Here is a St. Patricks day flask with my shamrock pattern on it! Easily change the background & add text. 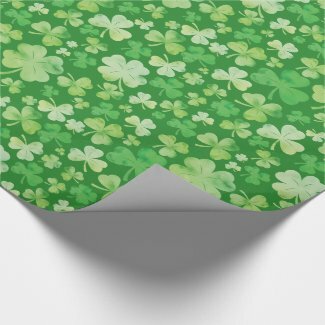 Here is my shamrocks wrapping paper, which actually just sold in the middle of me making this blog post! It will soon be travelling to California. 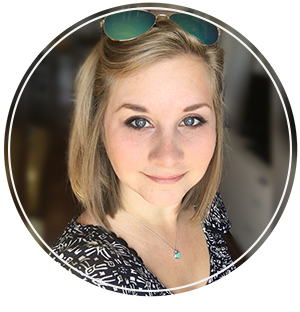 Thanks for buying, and thanks to the lovely referrer!